Betting lines are the lifeblood of any independent sports bookmaker and to make the most of all the sports betting opportunities on any given day you need to get your lines fast and sharp to keep pace with all the big offshore sportsbooks out there going to great lengths to attract sports bettors to their online betting outlets. Most private bookies will turn to a quality Pay Per Head provider as their primary source for betting lines, but no matter which betting line service you subscribe to, you need to ensure that you also have fast and easy access to your betting board when it comes to moving your own lines based on the particular daily action you are taking in. You also need to have a quick and easy system in place to change your offerings to best meet your individual business needs. This can be one of the more tricky aspects of successfully running and managing your own sportsbook, but the harder you work at it the easier it becomes. It is entirely up to you just how expansive your betting board will be, but you should always keep in mind that today’s modern sports bettor is looking for a wider variety of options. This could range from added betting lines for a few second-tier betting sports such as golf, tennis and motor sports. It could also pertain to the exciting world of live in-game wagers were someone can bet on a game after its starts. The betting lines and odds are constantly changing to reflect what has already happened on the field, court or ice and they also give bettors an opportunity to wager on what is going to happen next. This exciting way to bet on live sporting events is the ultimate thrill for anyone who considers themselves to be a sports betting action junkie. This is also where getting your betting lines fast and keeping them sharp is an absolute must as a private bookie. Along with the added action that live in-game wagering can bring in for your bookmaking operation, there is also a number of great opportunities to build some more betting excitement for each day’s games through an extended list of player and team props. Betting odds for props are usually released earlier in the day of when a particular game is scheduled to be played. Much in the same way that live betting can add action, so can a list of props that are directly tied to what takes place in that game. 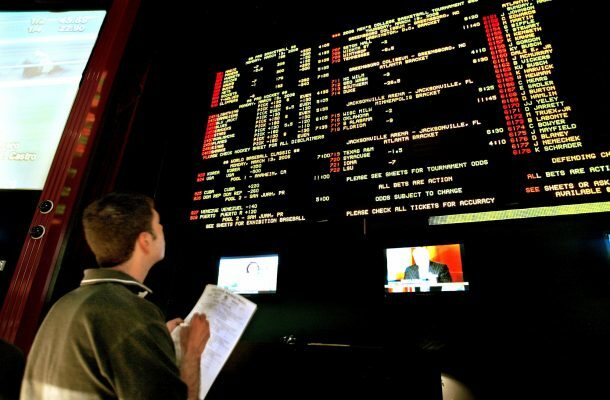 These types of bets can be very lucrative to your entire bookie business’s bottom line over the course of an entire season, especially when it comes to leagues such as the NBA, NHL and MLB. The biggest sport when it comes to betting lines is football both at the collegiate level and in the NFL. That fact that you will usually have five or six days between when the betting lines are first released and the actual game is played can be a good and bad thing for private bookies depending on how well you can manage these game lines. This is where the ability to move your own lines and change your offerings at a moment’s notice becomes extremely important. You need the lines to be razor sharp right out of the gate as quite a bit of money has been won (and lost) over a half point either way on a football spread. The bottom line when it comes to betting lines as a private bookie is to manage them on a regular basis in a way that works best for your overall business. There are going to be times when everyone is jumping on the favorite no matter the spread and that is just part of the game. Consistency over the long haul with your betting board is the key to longevity in the bookie business.